Gujarat, on the western coast of India, has experienced the advent of a man and is fortunate in having a rich heritage of historical records among the states of Indian Subcontinent. The history of Gujarat is very ancient and dates back to pre-historic age. It is difficult to reflect the complete historical records of thousands of years on few pages. Hence, we are summarizing the same into three periods i.e. Ancient, Medieval and Modern periods. The first period will reflect pre and proto history of Gujarat and contribution of Mauryas, Indo-Greeks, Kahatrapas, Guptas, Maitrakas and Chalukyas dynasty upto 1297 AD. 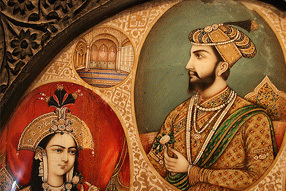 The second period deals with Sultans of Delhi (1297-1307 A.D). Sultans of Gujarat (1307-1572 A.D) and Mughal period (1572-1758 AD) as also the Marathas period from 1758 to 1818 A.D. The modern period which begins from 1818 A.D is sub divided into different sections such as Gujarat prior to 1857, contribution of Gujarat in 1857, pro-Gandhi and Gujarat (18581915), Gandhi period (1915-48) and the post independence period. Gujarat has a colorful profile. The land is fertile, beautiful and prosperous on the coastline from Kutch in the West to Daman in South, the hill line from Aravali in the East to the Western hills with lush green forests, large and small rivers as well the plains in the middle. The rivers and reservoirs, farms and fields, villages and towns, suburbs and cities, markets and industries, temples and complexes add to its physical prosperity and unfold the prosperity of its historic basis. Number of historic monuments, religious places, industrial complexes and educational institutions glorify the cultural pride of Gujarat. 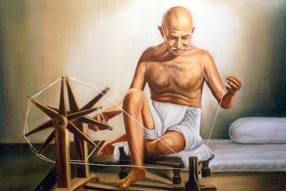 It reminds us of great traditions of Lord Krishna to Mahatma Gandhi. Many legends, tales and stories of bravery and generosity, efficiency and imagination, prosperity and charity, Penance and Sacrifice, knowledge and devotion are spread in the air and atmosphere of Gujarat. The hardwork and civilized approach of the people of Gujarat are evident at the coast of Dandi in South Gujarat where Gandhiji accomplished the salt satyagarh, at Somnath on the coast of Saurashtra where the echoes of eternal tranquility is heard, history and religion are the way of life at Pavgadh or Girnar, business booms at the markets of Ahmedabad and Surat, folk-life rules the streets of Jamnagar and Bhuj, water of life flows in Narmada and Mahi and greenery plays with the wind in forest of Dang and Gir. Gujarat unfolds its magic in abundance. With the largest coastline in the country Gujarat has got countless quiet, scenic, reclusive beach pockets where the sea lovers can have a heyday. For wildlife enthusiasts and naturalists, Gujarat offers a fascinating variety of species in Sasan Gir sanctuary and other places. For the devote pilgrims, Gujarat is a source of plentiful faith and devotion Palitana, Somnath, Dwarka and many other pilgrim spots attract lacs of disciples every year. For those who want to go for a quiet holiday in the hills, saputara offers a world class option. 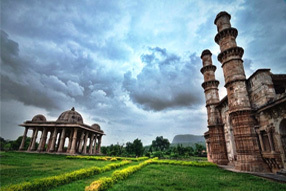 Monument of Ahmedabad are living example of one of the finest architectural works. 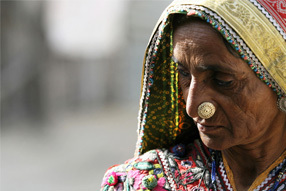 Gujarat’s rich tradition of textile and handicraft, are unique styles developed as culmination of hundred of years of experience. The fairs and festivals are a time of rejoicement and rejuvination when the people shed their inhibitions and join unitedly in the festive exuberance. The fairs are mostly held in rural areas where the folk art, folk music and folk dances are displayed with all the originality and performing genius. The town and cities of Gujarat represent all that is progressive and enterprising in the industrious Gujarat psyche. These cities are nerves of the present day prosperous Gujarat. All in all, Gujarat is a land of interest to many a tourists and in turn a major work filed for you. We, therefore offer you in this, a compact package of all that in Gujarat.